On my recent trip to beautiful Iceland I was fortunate to stay in the fabulous Hotel Ranga (you can read more about that by clicking here). 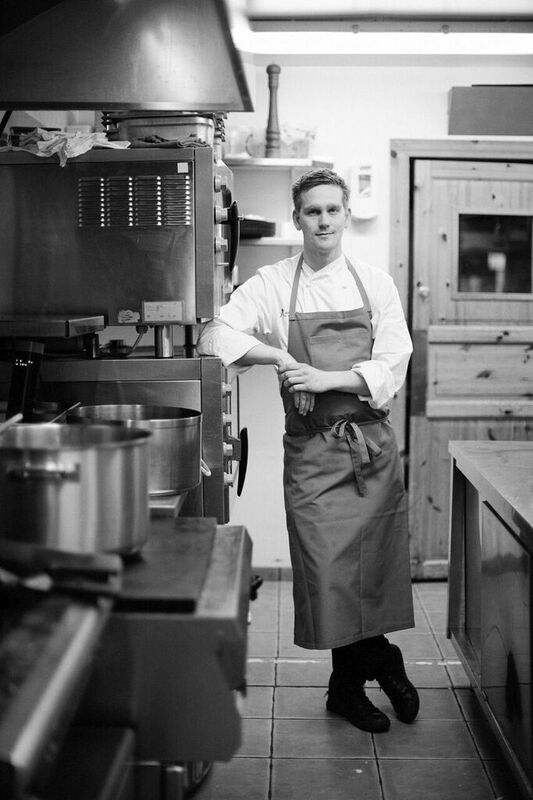 And even more fortunate to be treated to the genius cooking of their head chef Karl Johan Unnarsson. The ingredients of Iceland are amazingly plentiful with ample lamb, fish and dairy. Salmon, trout and cod are particular favourites as well as at the tastiest of langoustines. And there’s also the more unusual with seabirds like puffin and other waterfowl and even shark (no, I didn’t go there!) plus dried seaweed and moss to add a uniquely Icelandic flavour. Vegetable production is steadily growing with some vegetables started in greenhouses in the early spring and then grown outside. Tomatoes and cucumbers are produced entirely indoors. Crowberries and blueberries grow easily and you’ll find herbs growing wild, like thyme. And there are plenty of wild mushrooms on offer, too. 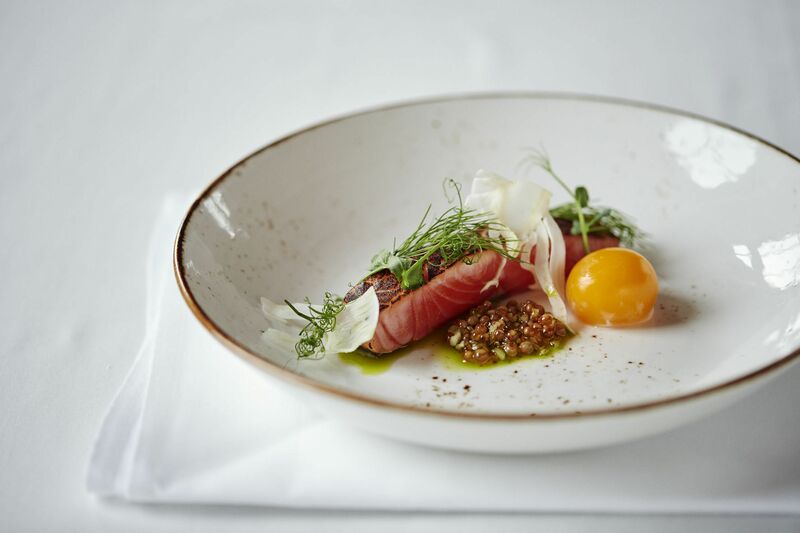 Karl is passionate about using local, seasonal ingredients and came up with two amazing tasting menus – one of four courses and the other of eight. Perfect for getting a really good feel for his take on the food of Iceland. And what a fabulous take it is, too, real food inspiration. Feast your eyes on a selection of the some of Karl’s creations. 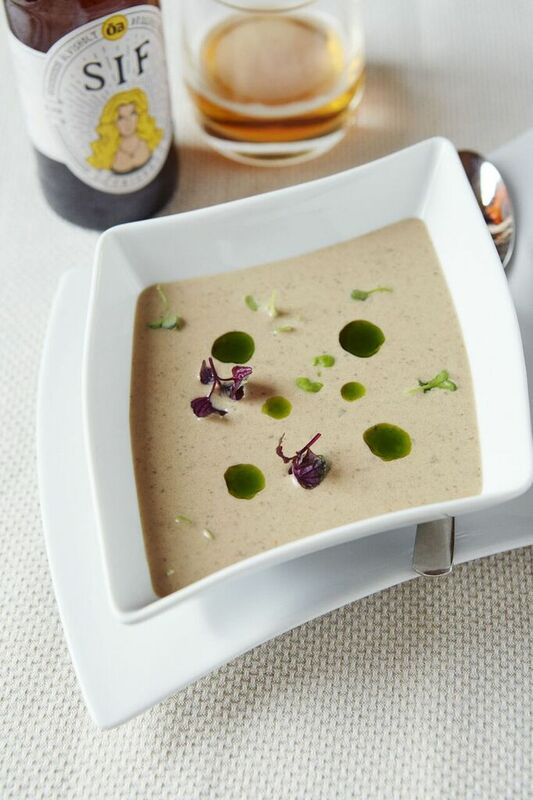 An earthy, creamy wild mushroom soup is served with vivid drops of dill oil – an Icelandic store-cupboard essential. On the second night our first course (of eight) was this amazing tomato extravaganza. 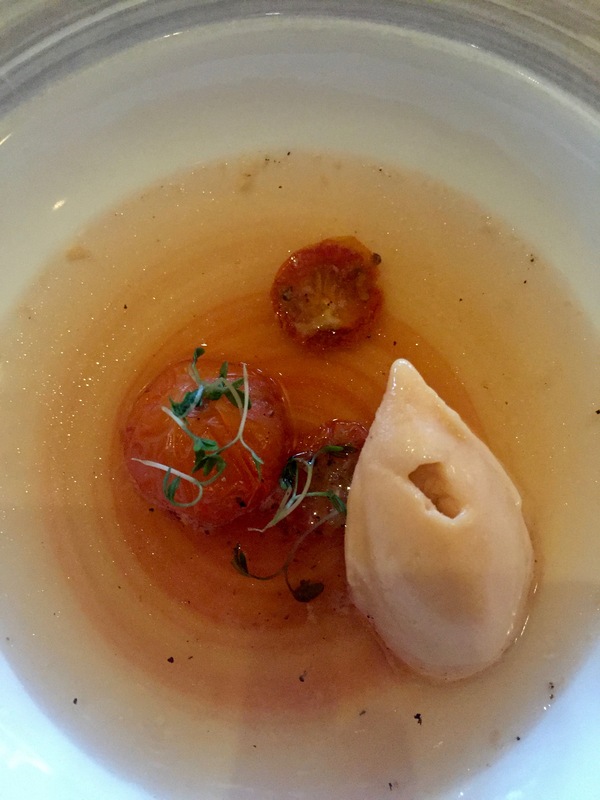 Tomato juice with slow-cooked mini tomatoes, onion, pepper and tomato sorbet. My love for tomatoes is well documented – a dish like this is always guaranteed to get my night off to a great start. 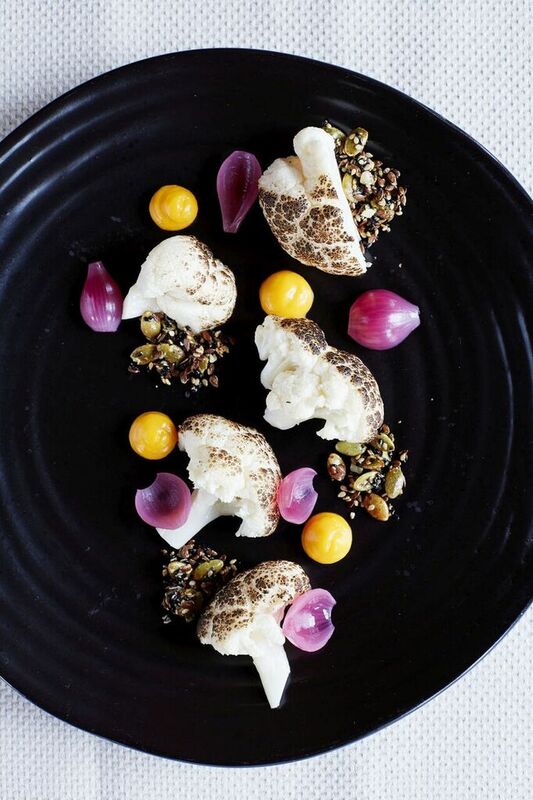 A clever and pretty vegetable creation: slow cooked cauliflower with buttermilk sauce and pickled red onion. I loved the salmon at Hotel Ranga. Well, it is one of Iceland’s key ingredients – we are in this island nation after all. This is lightly cured and blowtorched, served with trout roe and a smoked egg yolk. A dish that melts joyfully on the tongue. 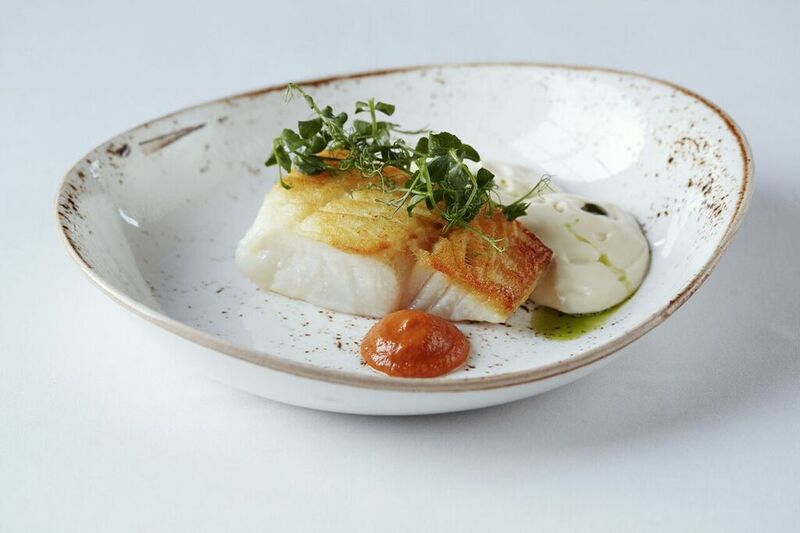 And now for some beautifully flaky cod which was lightly salted and served with smoked haddock foam and mustard cress. 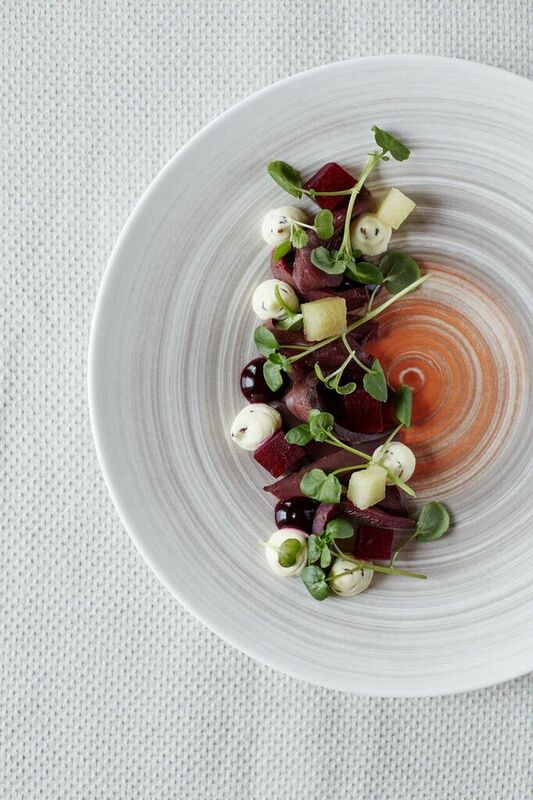 Seabirds are also a big part of Icelandic cuisine, here’s a dainty dish of beet and smoked puffin. 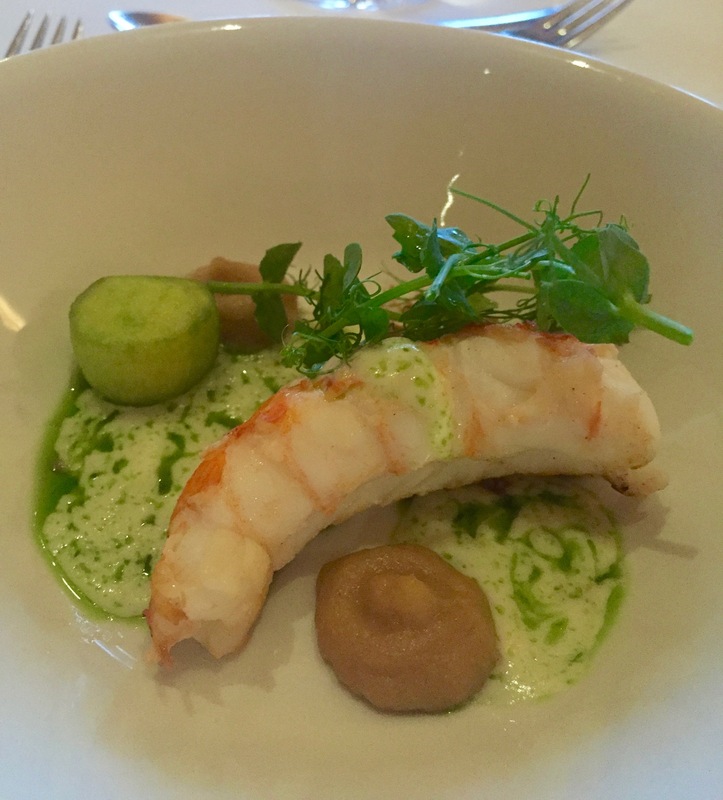 The pan-fried langoustine came with onion puree, apples, celery and dill sauce (more of that delicious dill). The wonderfully sweet seafood went perfectly with the crunch of apple and celery. Skyr is another great Icelandic product. It’s kind of like a cross between yogurt and cheese – it’s made using a cheese-making process which gives it a bit more of a savoury flavour, slightly more cheesy than yogurty. 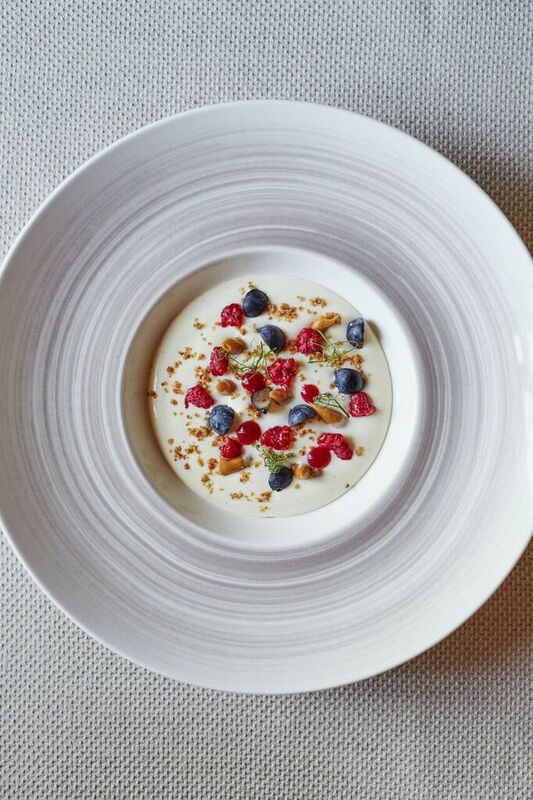 It’s widely used in desserts, like here, served with crumble and berries. And here’s Karl in the kitchen where he produces all his works of art. Because this is the gourmet food of an artist. A real joyful experience of tastiness and inventiveness. The food of Iceland rocks. Visit Hotel Ranga’s website to find out more. Wow, what a feast! Would especially love to try the dish with prawns. How did the puffin taste? Puffin is a little salty and a bit gamey. That food looks amazing! And I share your love of tomatoes. I am dying to try puffin. If I see an unusual food, I simply must try it. I can’t wait to go to Iceland someday myself! Thanks Stella, I am sure you would love Iceland. I totally fell in love with it. Thank you, I’d really recommend Iceland and this hotel is lovely. Your photos have instantly expanded my bucket list! Wow this food has been presented so beautifully! I have heard amazing things about Skyr too and will definitely try it when I am there :). Thanks leslieweighill, you must go to Iceland. Yes Kaylene, you must go to Hotel Ranga, it’s an amazing place and the food is fabulous. It is stunning! And I really loved Skyr, it has a unique flavour. The presentation of the food is so perfect, like artwork! Everything looks delicious. It really was amazing Anisa.